Ben Carson tries to avoid feud with Donald Trump. 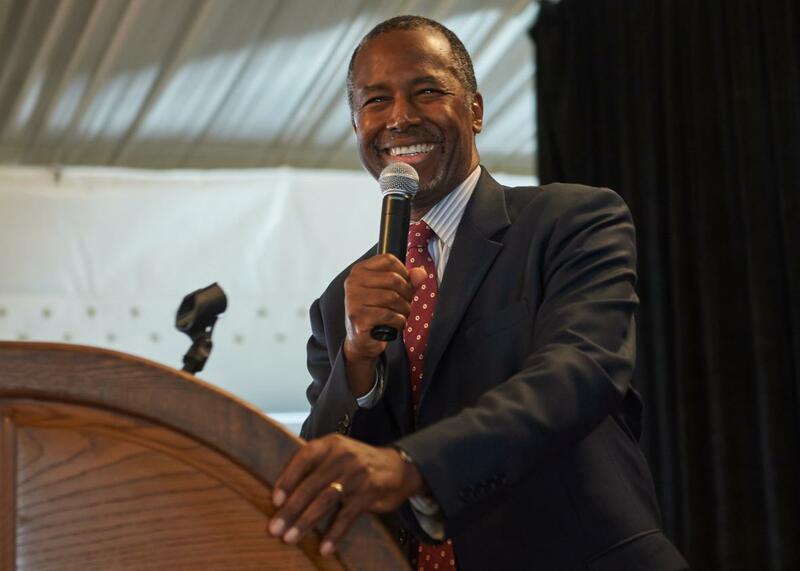 Republican Presidential hopeful Ben Carson speaks to the crowd during the Eagle Forum’s Eagle Council Event at the Marriott St. Louis Airport Hotel on September 11, 2015 in St. Louis, Missouri. It seems that if there’s one thing Republican presidential hopeful Ben Carson wants to avoid as he continues his climb in the polls is a feud with Donald Trump. The retired neurosurgeon sidestepped numerous opportunities to criticize Trump that Sunday talk show journalists handed to him on a silver platter this week. Carson instead chose to repeat once and again that he never meant to criticize Trump for his faith and reiterated his apologies. “It wasn’t meant as an attack,” he told ABC’s This Week. “It wasn’t my intention and I’m certainly not going to allow it become my intention subsequently, regardless of how anybody reacts to it.” Trump, however, took a different tactic, telling voters in Iowa that Carson lacks the energy to be president. Still, Carson wouldn’t be pushed into a confrontation. The tiff between the two presidential hopefuls began with Carson saying he didn’t see how it was practical to have a plan that would involve rounding up 12 million undocumented immigrants. And the tensions blew over when Carson said the big difference between him and Trump was that “I’ve realized where my success has come from, and I don’t in any way deny my faith in God.” Trump immediately hit out at Carson and it didn’t take long for Carson to try to back down.